At Radley Family Law, it is the goal of every York Region family lawyer to offer personalized expertise to residents of York Region. Whether you are seeking guidance on issues related to divorce, restraining orders, spousal support, or child custody and access, the team at Radley Family Law is here to help. Radley Family Law is one of Ontario’s leading law firms for disputes related to divorce. We are happy to offer uncontested divorce services at a competitive price. In an uncontested divorce, the spouses have already resolved the issues arising from the divorce, including disputes over property, debts, or the custody or support of the children. We also offer alternatives to court like mediation and arbitration for separating couples who wish to avoid the legal and financial headache of appearing before a judge. Unfortunately, not all divorces can be resolved amicably. The end of a marriage is an emotionally fraught time, and when emotions run high animosity is common. If you and your spouse are involved in disputes over child support, child custody and access, child protection, or division of property, a York Region family lawyer from Radley Family Law can help you find a solution. We are proud to defend our clients’ rights and represent their best interests in court or through mediation or arbitration. Of course, Radley Family Law’s expertise doesn’t end with divorce. Our founder, Rachel Radley, spent more than nine years working as counsel for the Ontario Family Responsibility Office, which is a branch of the province’s Ministry of Community and Social Services that ensures support payments are collected and delivered. As such, our team has unique expertise in dealing with issues of spousal and child support. Spousal support can be collected by both married and common-law partners, and is not based on gender. At Radley Family Law, we like to remind our clients that a marriage is not just an emotional and familial partnership, but also a financial one. When this partnership is terminated, spousal support may be owed to help the spouse earning a smaller income to become financially self-sufficient or to keep from ending up in serious financial difficulty. Child support is generally calculated by obtaining the gross income of the paying parent. Certain factors, including split or shared custody arrangements, may have in impact on the amount of child support. The purpose of child support is to ensure that children are able to maintain their quality of life, even as their parents decide to end their marriage. Divorce can be a traumatic experience for young children – child support payments aim to minimize the disruption in their lives. Call Rachel Radley Family Law today to get in contact with a York Region family lawyer and arrange a free consultation. We can be reached at 905-669-2109 or through this website via our online contact form. Our experienced family lawyers work from our head offices in Vaughan, Ontario, and are prepared to offer effective and compassionate legal advice to clients in York Region and around the province. 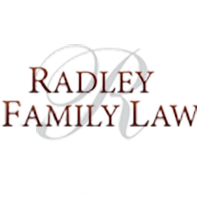 If you are engaged in a legal dispute involving family members, contact Radley Family Law today.